Despite being a celebrity child, Suri Cruise went ahead to set an example for all kids! Tom Cruise and Katie Holmes' 12-year-old attended New York City's Gay Pride Parade 2018 on Sunday where she had been selling lemonade. 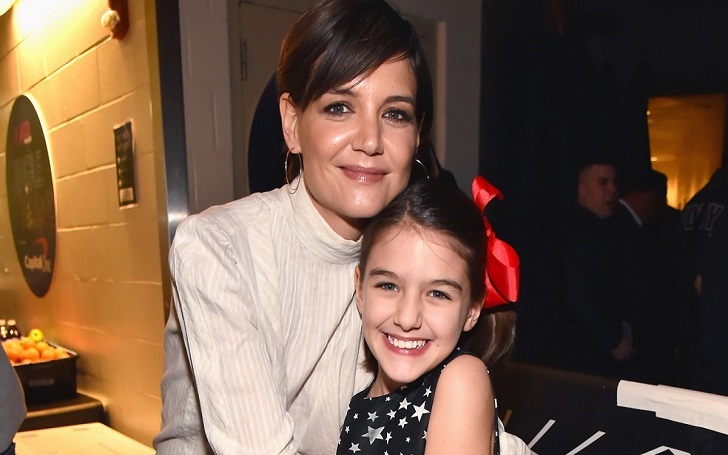 An eyewitness told media that Suri, who was watched over by her nanny, “had a little stand set up with about four of her friends.” Suri and her friends were charging $2 a glass. They had rainbow Rice Krispies treats and lemonade with signs all around their table for Pride. She was very sweet and kind, telling everyone to enjoy their day and would smile whenever someone walked past! Very sweet. The parade's attendees showed their appreciation and adoration for Suri. One commenter gushed, "When Suri Cruise sells you lemonade at the Pride Parade. Just bought some pride lemonade from suri cruise haha casual nyc days". As per the report, thousands of people, including transgender advocate Tyler Ford, tennis legend Billie Jean King and civil rights organization Lambda Legal, celebrated in rainbow gear as they walked through Greenwich Village and up Fifth Avenue. Suri is no stranger to the Big Apple. She and her mother, who live in Manhattan, often spend time together taking in the sights of NYC. Sometimes, they even do parties in the comfort of their own home. Congratulations to all of the nominees and winners!!!!!!! Tom and Katie welcomed Suri in April 2006. The couple had gotten married on 18 November 2006 after one years of dating. Their wedding ceremony was held at the 15th-century Odescalchi Castle in Bracciano, Italy, in a Scientology ceremony. On 29 June 2012, Katie filed for divorce from her husband after more than five years of their marital relationship. Their divorce was finalized in July of the following year.